The MTF is at a pivotal stage in its 26-year history. Our founder and primary benefactor, the American Massage Therapy Association (AMTA) is eager for the profession at large to embrace the Foundation, our mission, and our development needs. AMTA generously provides support that covers staff costs, overhead, office space, and many other forms of valuable assistance so your gift can go directly to the programs and services that are making an impact on our industry. Please consider making a one-time or monthly donation. Your gift will strengthen our profession and make a difference in the lives of individuals who will benefit from the gift of massage. Massage research is key to moving our profession and your practice forward. Research consistently demonstrates the efficacy of massage and its broad ability to address clients’ needs. Quality studies help educate the public and other healthcare professionals about the therapeutic benefits of massage. The result is a synergy wherein clients request massage and other professionals refer their patients to you, thus growing your practice. 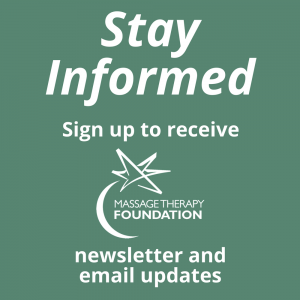 With you as a team member, the Massage Therapy Foundation can continue to fund research that enables you to provide evidence-based care and advance the profession. 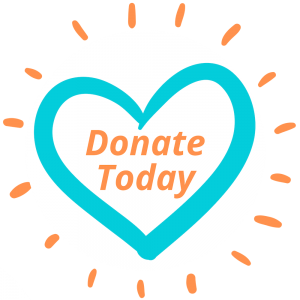 Join the Massage Matters Research Team by donating a modest amount to the Massage Therapy Foundation on a monthly basis. Make a personal investment in the future of your profession and your practice by making massage research matter. For more information, please contact Development and Communications Manager, Marla Gamze at mgamze@massagetherapyfoundation.org or 847-905-1635.